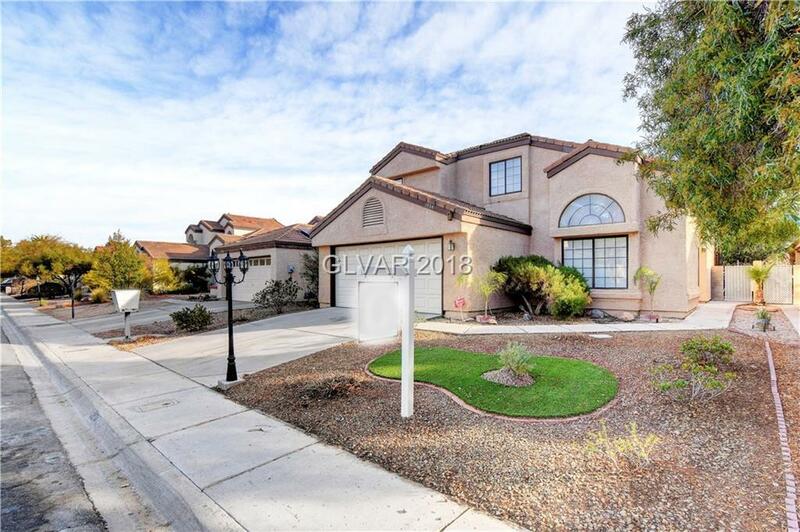 Beautiful 2 story, 4 bedroom home in the middle of Green Valley, Henderson. One bedroom down stairs with full bath. Formal living, den and a family room. Granite counters in kitchen, ceiling fans. Patio off kitchen has partially enclosed latticework. Custom in-ground spa with green grass surrrounding it. Large trees give shade to yard and patio..